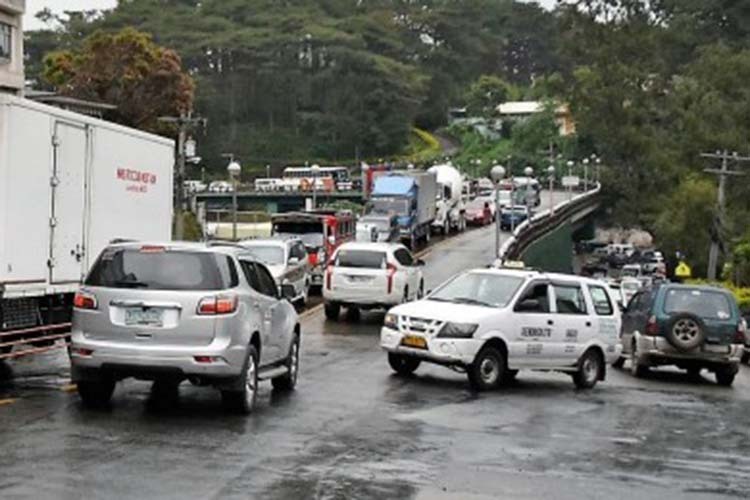 BAGUIO CITY — The perennial traffic problem in this city might be addressed by the application of the 4Es — engineering, enforcement, education and enactment of proper traffic laws, a traffic engineer said on Monday. “Kailangan walang mawawala sa apat (None of the four should be left out),” said Ted Tan, a volunteer of the Traffic Transport Management Committee (TTMC) of Baguio for more than a decade. Tan said a traffic office does not only make recommendations on how to address the traffic problem, but also implements them. “It will take time, especially with our current situation when the problem has ballooned but we cannot forever set it aside, we can still solve the problem, not necessarily tomorrow but we can,” Tan said, noting there is pressing need to create a fully functioning city traffic office. Baguio’s traffic problem, especially during weekends and peak tourist season, has given the country’s summer capital a bad image. Tan said long-term planning, which includes projecting traffic situations, is a key to preparing a traffic policy. “When the TPLEX (Tarlac-Pangasinan, La Union Expressway) was starting, I already wrote a column in a Baguio newspaper about its effect. I projected more people coming to the city for weekend or weekday getaways but nobody listened. Had we prepared years ago, we would have not been surprised,” Tan said. With TPLEX, travelers can reach Baguio in 3.5 hours, especially in the evening, making it very accessible to Metro Manila residents. Tan said Baguio’s roads cannot be made longer or wider but there are other means of easing the traffic situation. “More than 10 years ago, there was a strong calling to address Baguio traffic- Session rotunda, central business district, city hall loop, Marcos highway and Bokawkan. I was approached by Mr. Art Orig [former city planning officer] to help design a solution to the gridlock especially afternoon traffic at the post office rotunda. That is the existing one way now,” Tan said. He said with the roundabout project, they were able to keep the traffic moving. “Enactment of traffic laws and enforcement are the only ones often implemented absent engineering and enforcement which limits the implementation,” Tan said, noting that education is also an important factor in solving the traffic problem. “People, everybody, should learn how to be cooperative and not just think of their convenience — parking in a no-parking zone nearer his destination not minding that such act will lead to clogging of the road and inconveniences more people,” he added. Tan said adequate parking areas should be provided to be able to decongest the roads. “If there are 1,000 vehicles who go to the area and parking is only for 100 vehicles that will mean the 900 will be parked on the roadside, blocking the road. We need to create more parking within or somewhere else before they enter Baguio,” he said.